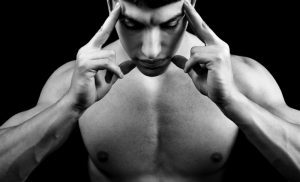 Home » Blog » If Olympic athletes are practising mindfulness, why aren’t you? If Olympic athletes are practising mindfulness, why aren’t you? Mindfulness? Isn’t that for hippies? If this was your first reaction to the headline of this article, you’re not alone. Yet the answer is, as we’ll see, definitely not. Different practices that include mindfulness are being developed at an ever-accelerating pace, applied everywhere from schools to Silicon Valley, and many of them are in the field of physical training. Just what is mindfulness, anyway? Jon has written before about how happy moments are mindful moments, and can be found in the midst of life, by oneself or with others. As someone who’s practised meditation for many years (although by no means an expert), I’d be tempted to build on that and say that unhappy moments, even disturbed moments, can also be mindful. And if we’re in full awareness of whatever the mind is doing, without layering our judgements and aversion on top, it makes a big difference to how we experience that. Negative experiences are seen as perhaps not as permanent, significant or damaging as we once might have thought. Positive experiences are enjoyed without trying to hold on to them ­– in other words, more fully. Yeah ok, but what’s this touchy-feely stuff got to do with training, you might ask. Well, to take a simple example, stress management is a huge part of keeping yourself and your trainees healthy. “A healthy mind in a healthy body” has been a motto since Roman times for good reason. Chronic stress (as opposed to temporary stress of dealing with a difficult situation or hard training session and then recovering properly) has numerous negative effects on your hormones and other systems of the body. Athletes and coaches, or anyone looking to lead a fit and healthy life, are always looking to optimise hormonal balance, not disrupt it. The stress-relieving effects of mindfulness practice are the most obvious ones. The Mayo Clinic, top-ranked hospital in America, even includes a link to mindfulness exercises in its Stress Management section. But is it only about relaxing? Surely you could go for a walk or have some red wine, if that’s all there is to it. However, unlike the second glass of my favourite Merlot, mindfulness training improves the quality of one’s mental reactions to what’s going on, especially, but not only, in high-pressure situations. He goes on to describe in detail the psychological and physical effects of meditation, including different responses to pain, and even how it extends to gene expression and inflammation – in other words, affecting us at the deepest cellular level. If it’s so great, wouldn’t everyone be using it? They probably will, eventually. For now though, it has spread to the highest levels of competition. Kristin Keim, member of the US Olympic Committee Sport Psychology and Mental Training Registry, is using meditation and visualisation practice: “No matter their condition, I recommend athletes practice meditation and visualization skills on a daily basis”. After mindfulness was credited with helping the Seattle Seahawks win Super Bowl XLVIII, it seems that the Americans are really taking it up. Olympic volleyball players Kerri Walsh and April Ross, swimmers Rebecca Soni and Kim Vandenberg, and the entire U.S. women’s soccer team are all using it. Closer to home, medal-winning British diver Tom Daley revealed that he incorporated ten minutes of meditation into his daily routine to combat the nerves that almost crippled him in the 2012 Olympics. So, given the host of mental and physical benefits being gained by these top performers, perhaps you might want to give one of the many different kinds of mindfulness practice a try. Whether you’re thinking of entering athletic competition, becoming a personal trainer, or you’re already a coach, it might be worth looking into.